Thank you for your interest in Andrews’ Endowed School. This is a very special school. We are proud of our unique School House and our beautiful setting, which provides our pupils with a very special place in which to learn and grow. The completion of recent building and refurbishment work enables us to offer our pupils a high quality learning environment, both indoors and out. We are privileged to enjoy extensive grounds, including a woodland area we call our ‘secret garden’, a large playing field, a playground, an adventure playground, and a storytelling garden. We also have an ‘outdoor classroom’ – a timber construction large enough to seat a whole class for lessons outside. Our curriculum is designed to enable our pupils to learn through active enquiry and first hand experience. We enjoy bringing our learning alive through visits to museums and galleries, and by inviting visitors to come into school. We are committed to a curriculum which provides plenty of opportunities for learning outdoors, and we have two dedicated outdoor learning spaces for our younger pupils. Our Reception children, ‘Acorns’, enjoy their own secure playground with space for riding bikes, construction, and imaginative play. Children in Years 1 and 2 share a large outdoor learning space, separate from the main playground, with space for planting and growing and room for learning through discovery. 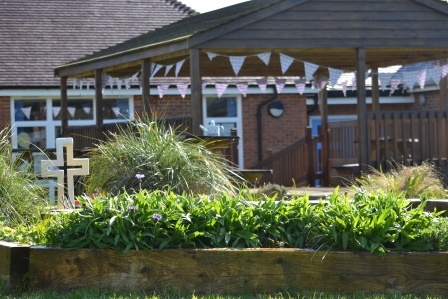 Pupils in Key Stage 2 have direct access to the playground, field and gardens from each of their classrooms. 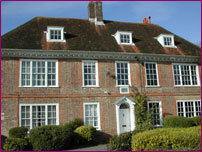 Andrews’ Endowed is a Church of England Voluntary Aided School, under the guidance of the Diocese of Winchester and Portsmouth. We enjoy strong links with the Greater Alton Parish, and regularly visit the Church of the Holy Rood in Holybourne Village. We set high standards for behaviour and have high expectations of our pupils. Our children are eager to learn and to achieve their best, with supportive and enthusiastic parents and carers. We have a dedicated and hard working staff team. We enjoy the support of a highly motivated PTFA, and a strong and committed Governing Body. We are a happy and well regarded village school. I hope that you find all that you are looking for within our website, and encourage you to contact us if you have any questions.